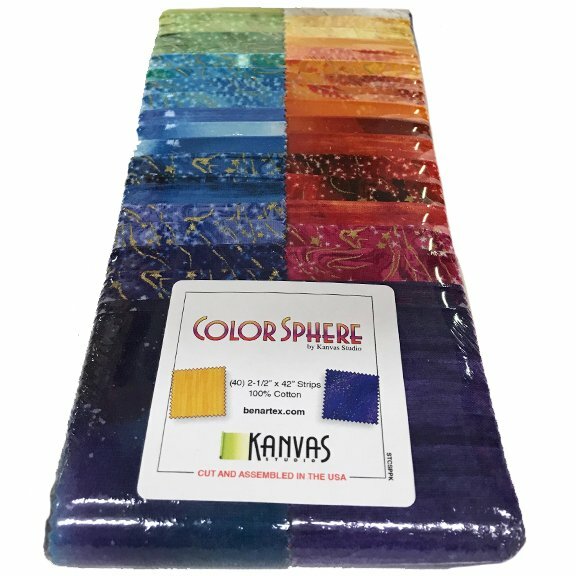 Color Sphere strip-pies (aka strips, jelly roll) by Kanvas Studio for Benartex fabrics. 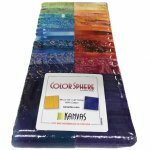 A colorful collection of 100% cotton strips cut 2.5" x 42". Great for jelly roll / strip patterns. Some strips have gold metallic accents.